Mokoro is pleased to be partnering on the WOLTS Tanzania project with HakiMadini. HakiMadini is a rights based organisation working to support small-scale miners and communities living around Tanzania’s mineral abundant areas since the late 1990s, with an established programme focused on gender and mining. The WOLTS Tanzania team has been working in two communities affected by mining investments, Mundarara village in Longido District and Naisinyai village in Simanjiro District. 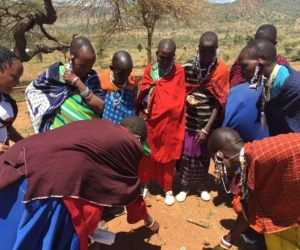 Through multiple site visits and using different research methods and techniques to triangulate and validate data, the team has been investigating the intersection of gender and land relations in different pastoralist contexts and developing a methodology for continuing community engagement and capacity building to protect and support the land rights of all vulnerable people. 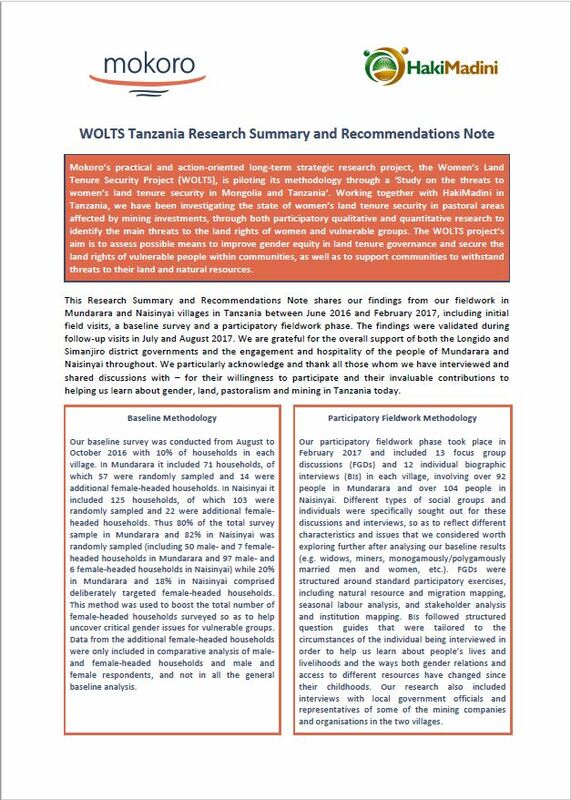 The team presented some of the findings from the research so far at a Multi-Stakeholder Workshop on Gender, Mining and Pastoralism in Tanzania, held in Arusha in November 2017. Participants included community representatives, national and local government officials, civil society organisations, development partners and representatives of the private sector. Have you read our WOLTS blog on ‘Being a Man on a Gender Project – Some Insights from the Field’ – it’s available here. To obtain copies of available reports and documentation in Kiswahili, please email edaley@mokoro.co.uk. You can learn more about our Tanzanian partners here. To return to the main WOLTS webpage, please click here.